Apple today confirmed that its iCloud services in mainland China will be operated by a Chinese company from next month (via People's Daily, China). The firm, called Guizhou on the Cloud Big Data (GCBD), is owned by the Guizhou provincial government in southern China, and will manage Apple's new $1 billion data center, which opened in the region last year. Apple said customers based in the country had been contacted and advised to examine new terms and conditions, which include a clause that both Apple and the Chinese firm will have access to all data stored on iCloud servers. Apple originally announced in July its intention to set up its first China data center in partnership with a local internet services company. The operational change was agreed between Apple and the Chinese government, bringing the tech giant into compliance with the country's cloud computing regulations, introduced in June 2017. The cybersecurity law requires foreign firms to store data within the country. Other tech firms with data centers in China include Microsoft and Amazon, which will also need to comply with the new rules. Apple said the partnership with GCBD would also allow it to improve the speed and reliability of iCloud services products, but assured customers that no backdoors had been created into any of its systems. However, critics claim the move will make it easier for Beijing to spy on users in the country. Last year, Apple was accused of kowtowing to state demands that it remove virtual private network (VPN) apps from its App Store in mainland China. Shortly after, Apple CEO Tim Cook said Apple "would rather not remove apps", but like it does in other countries, "we follow the law where we do business". Cook also said he hoped China would ease up on the restrictions over time. 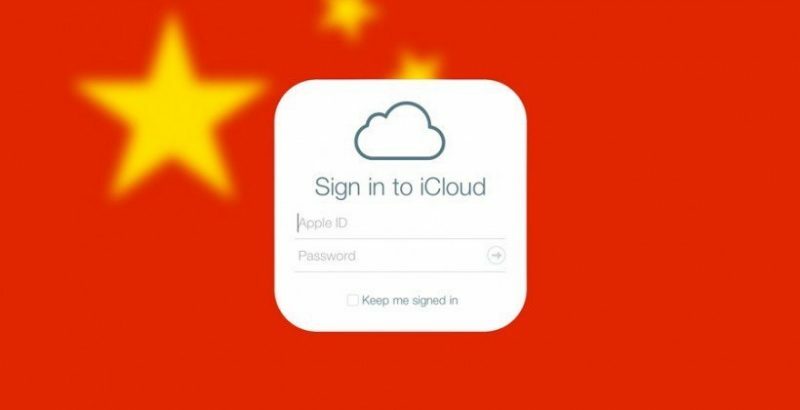 In Wednesday's announcement, Apple said customer iCloud data will be transferred from February 28, and customers living in mainland China who did not want to use iCloud operated by GCBD had been given the option to terminate their account. They make some grandiose stand against the U.S. government not to unlock terrorist devices where Americans are killed... yet easily get in bed with the oppressive Chinese government so they can continue to do business and rack up profits there. Cook & co only take heroic stands when there are no consequences. Here we see how fast they fold like a used tissue. [doublepost=1515586987][/doublepost]I wonder how many of the people posting that Apple is 'only following the law' hold the same view when it comes to, say, immigration laws of Western nations. Here's hoping that they will move European client's data to European servers soon! Having servers for Chinese customers remain in the USA makes about as much sense as Apple storing the servers for US customers in Moscow. Or like keeping the servers of Israeli customers inside Saudi Arabia. Sorry, but Apple makes logical sense here (they are merely compartmentalizing their global services) even if you disagree with it politically. What's more shocking is the Chinese government is probably less intrusive than our own. So someone who uses iCloud in say, the UK, has their data stored on servers in the US? I just assumed Apple had data servers in many different countries/regions. Gimme a break! You know damn well the only reason Apple opened this data centre in China was to appease the Chinese government, and the reason the Chinese government wants servers on their land is to snoop on/control them. The Communist Chinese party is a repressive regime and in no way comparable to any Western nation I know of despite any flaws or failings in the latter. Cook & co like to puff out their chest and appear like brave freedom fighters whenever there are no actual consequences for doing so, but buckle immediately when faced with true evil. They make some grandiose stand against the U.S. government not to unlock terrorist devices where Americans are killed... yet easily get in bed with the oppressive Chinese government all in the name of profits. Here's hoping they data center in China doesn't find some backdoor into iCloud centers in other countries. Because different countries have different laws. Plus, Apple outsources all of this to their legal team. A trained team in our legal department reviews and evaluates all requests received, and requests which Apple determines to have no valid legal basis or considers to be unclear, inappropriate or over-broad are challenged or rejected. Apple literally just follows laws. Businesses are amoral. BWAAAHAHAHAHAHA! Oh thanks. I needed a good laugh. Meh. It's actually a logical move. It doesn't bother me….. as long as Apple does not move American customer servers to China. Now THAT would be ***** crazy-stupid. Then again, Congress would likely prevent that from happening.